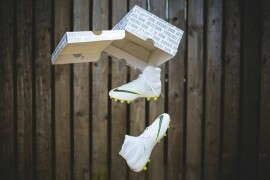 If you haven’t seen Nike’s Summer 2012 ad ‘My Time is Now’ yet, go watch it. No, seriously. But if you have, you’ll probably get a kick out of this interactive installation Nike have set up in Poland ahead of Euro 2012! 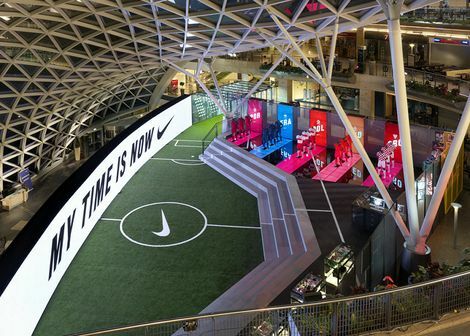 Dubbed the ‘Nike Football Stadium’, the installation is inspired by the latest Nike viral ad, bringing to life the atmosphere and some of the ‘tunnels’ that have seen the Swoosh’s latest video become an internet sensation. Located in the heart of Warsaw at the Zlote Tarasy Mall, this will be the hub where anyone who loves football can find the products and services they need to improve their game as well as gain inspiration from the best athletes and teams through the My Time Is Now digital campaign and stories. 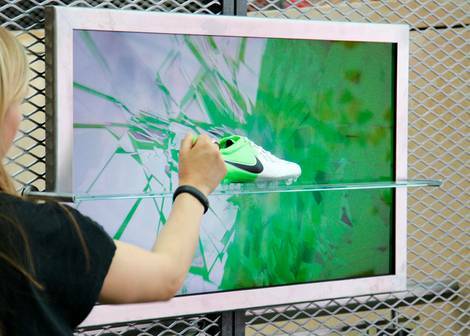 Boasting a 30-meter-long LED screen, which football fans can interact with with different themes, the Nike Football Stadium also boasts a Nike Barbershop, a NikeiD counter and plenty more interactive experiences. 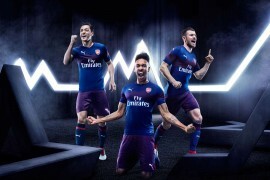 Additionally, the Stadium will also serve as Nike’s hub of operations over the summer, with some very special events having already begun to take place. This week, it played host to the Polish National Team for a final good luck appearance in their final public appearance before 8 June. With a full squad of 23 players, fans were treated to seeing their football heroes such as Jakub Błaszczykowski, the Polish captain, Robert Lewandowski and Wojciech Szczesny on stage and hearing about their preparations for the tournament. In the audience were 26 young local finalists from The Chance, Nike’s global football talent search in which two Polish players will be chosen to travel to a global final to be held at FC Barcelona’s famed youth academy. Finally, the roof of the Stadium played host to the unveiling of a giant images of Jakub Błaszczykowski, the Polish captain, Robert Lewandowski and Wojciech Szczesny stand more than 100 meters tall on the Orco Tower, and can be seen from many vantage points all over the city. The supersized portraits are intended to bring the Polish players and their fans closer together than ever before in an inspirational and eye-catching format. 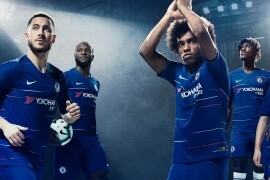 The players are shown wearing their national team kits, illustrating the pride they have in representing their country. Is anyone headed to Poland & Ukraine for the finals this week? Let us know in the comments if you’re already there, and have checked out the Nike Football Stadium! I went to the stadium earlier this week. It is really sick. They did a good job getting the polish identity with the design of the stadium. But in the Galeria Mall, the nike set up is pretty sick. They have all the different boots on a wall and you can do a goal celebration and they record it. Its pretty dope.